As founder of one of Romania’s largest indie game studios, I am lucky to be a part of a team that creates fun games enjoyed by millions of people from all over the world. As an entrepreneur, together with my partners, I have had the opportunity to grow a business from scratch, without any investments, financing or consultancy and have discovered the hard way what it takes to be successful. Today, as a monetization expert, I constantly have to find new and creative ways to optimize products, user experiences and costs in order to improve conversions on the games we create and the ones we handle for other game developers. I am proud of everything I did so far. I am even prouder of my ideas and of what I foresee in our future. That’s why I am eager to share my experiences on entrepreneurship, game development and monetization so that others starting the same journey can find hopefully useful advice and guidance. You can also find me and connect through LinkedIn, where share business updates and write about my experiences as an entrepreneur. Also, if you want to talk about the trials and tribulations of starting a business, online advertising, ad serving and monetization or just to get in touch, drop me a line at hello [@] danieltamas.ro. 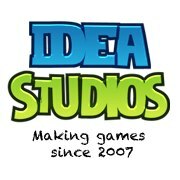 With over 500 games developed in only 8 years and 15-20 million users worldwide on a monthly basis, Idea Studios is now one of the largest and most important indie gaming companies in Romania. Sounds impressive, huh? Well, it kinda is, but, believe it or not, Idea Studios started out just as a means for my high school classmate and me to be able to invoice all the freelancing work we were doing at the time. Noticing a new niche that had just started to develop in Romania, and with a bit of encouragement from our friends, we got into the gaming industry. And we were hooked. From there on, slowly but surely, we began to grow our business, constantly investing right back everything we would earn. We proved to be successful at creating dress-up, make-up and children’s games and, even though we first sold them to important publishers, we soon decided we ourselves should become publishers. Several web gaming portals we’ve since created have been turned into successful exits, while the ones managed directly by us are now enjoying the attention of millions of gamers at a global level. 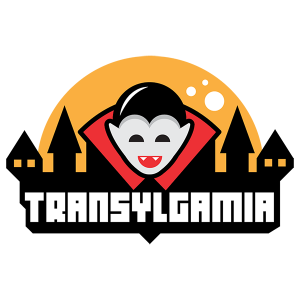 In 2014, sensing the importance of mobile gaming and potential for exponential growth, my business partners and I decided to create Transylgamia, a studio focusing on game development for mobile platforms. It’s been new to us, but this made it fun, as we are challenging ourselves to create some of the most entertaining mobile games possible, while, at the same time, reaching new global audiences and deliver sponsored content across devices. In the same year, my business partners and I realized we also needed to focus on how our games could be better monetized. In that sense, we founded Jellycs, the first online marketing consultancy in Romania solely dedicated to games, an agency specialized in optimizing user retention and engagement, monetization, advertising efforts, and all the ingredients needed for healthy business development. 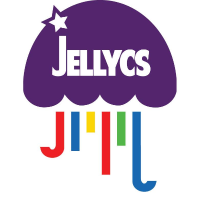 As CEO of Jellycs, I manage a large online advertising inventory, always looking for new technologies and models that can deliver top results for advertisers and the most relevant content for users. Idea Studios, Transylgamia and Jellycs now number a team of 50 highly talented and enthusiastic professionals, and I can only say that I am extremely proud of everything we have accomplished so far, and excited for all the things to come. The latest endeavour comes with Revmix, a tool Daniel believes will bridge the technological gap currently existing today inside news rooms. As a part of the daily work at Revmix, we work on implementing the most useful and sought after tools for news publishers including monetisation networks and smart algorithms to maximise each visit.